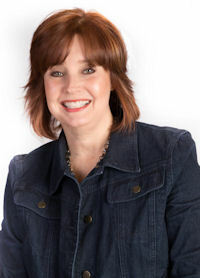 Shelly Hirschinger is a Senior Sales Consultant for Top Value Fabrics. A graduate of Purdue University, Shelly has a background in Project Management, Sales and Customer Service. Shelly joined Top Value Fabrics in April 2006 as a Sales Person and was promoted to Senior Sales Consultant after quickly becoming an expert in our field. Shelly’s special interests include family, friends, exercising, hiking, biking, traveling, and her cats Oscar, Felix, and Yeager (named for aviation legend Chuck Yeager). Shelly and her husband, Chuck, have been married for 34 years. They are especially proud of their son, a United States Air Force War Veteran, and their daughter, both graduates of Shelly and her husband’s alma mater, Purdue University.